This information is from the Cedar Creek Grist Mill website. WOODLAND — On Sat., Oct. 29, volunteers and community members helped press about 8,000 pounds of apples into apple cider during the Cedar Creek Grist Mill’s annual Apple Cider Pressing. 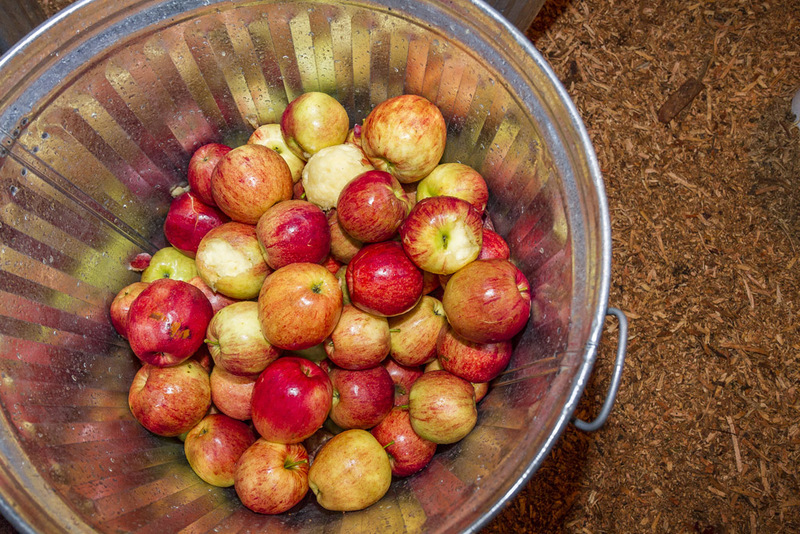 The Apple Cider Pressing is held the last Saturday in October, and volunteers begin distributing cider at 9 a.m. and continue until they finish pressing all 8,000 pounds. 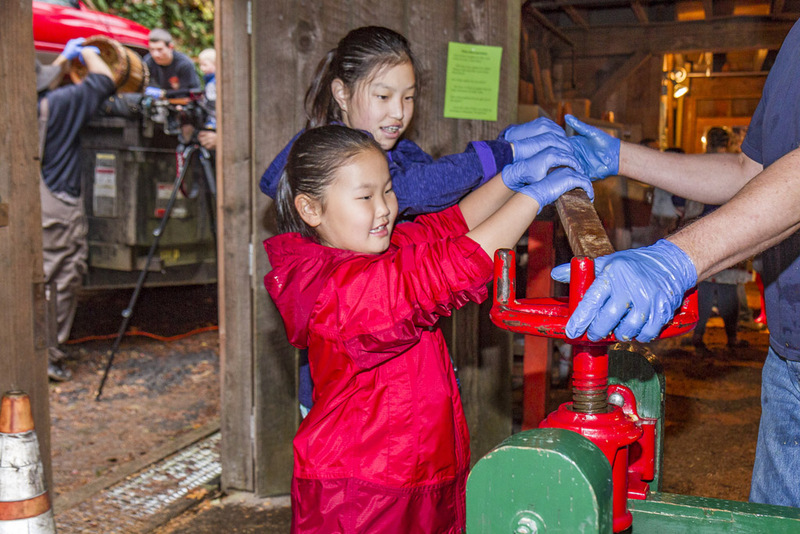 Young visitors were able to join the volunteers inside the Mill to help press the cider. 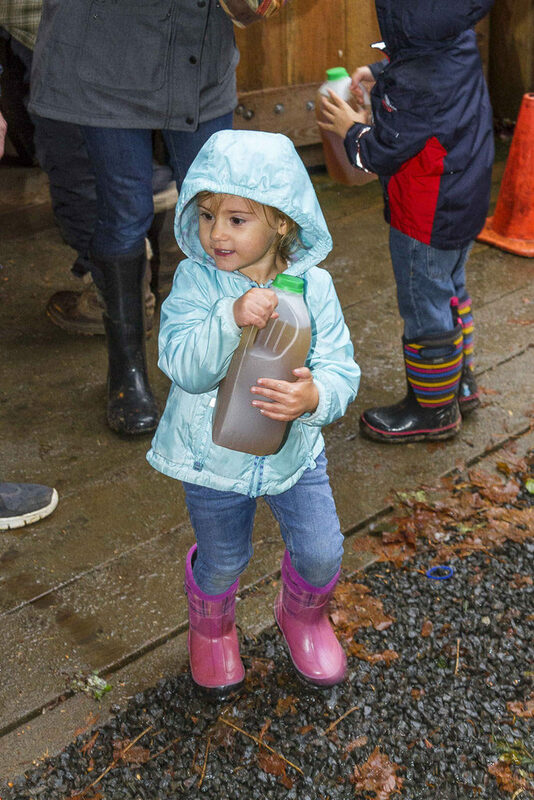 Numerous other events are held at the Grist Mill throughout the year, including Bread and Butter Day, Strawberry Shortcake Day, Blueberry Pancake Day, Cornbread Day and Treat Day. Event dates are listed on the Grist Mill website. Video by Mike Schultz for ClarkCountyToday.com. According to the Cedar Creek Grist Mill website, George Woodham, a migrant miller, settled in the area north of Fort Vancouver. In 1876, Woodham, along with his sons, built the grist mill named at that time the Red Bird Mill. Traditionally, mills were powered by water and the Cedar Creek had a year-round water flow that met the requirement for a water-powered mill. The people who settled in the area where the mill was built were farmers. They raised crops and livestock. Wheat and other grains were grown in the plains and prairies north of Fort Vancouver. Wagon loads of grain brought to the mill would be ground into flour, cornmeal and animal feed. A dam was built to form the millpond that fed water to the flume to supply the mill. The dam was damaged by high water flow and floating wood debris the first winter. Unable to keep the dam repaired, and with meager profits, Woodham moved to Centralia in 1879, taking his equipment with him. According to the website, Mike Lynch bought the mill, but it sat for seven years until Gustave Utter leased it in 1888. At that time a log dam was constructed about 80 feet upstream. Utter built a flume and installed the Leffel turbine, which is still in use today. Washington was admitted to the Union as the 42nd state on Nov. 11, 1889. That was 13 years after the Cedar Creek Grist Mill was built.The Mill quickly became the center of activity where dances and musical entertainment were held frequently. Milling fees were often shares of grain, so Utter raised hogs, which could be sold for badly needed cash. By 1901, Utter couldn’t keep the mill operating profitably. The Mill was then purchased by Gorund Roslund in 1905, but he wasn’t able to get the mill in operation until 1909. He added a shingle mill to the rear of the original structure. By 1912 logging was booming and a machine shop was desperately needed. Victor, one of Roslund’s sons, was a mechanic and turned the entire lower floor into a machine shop. Victor made parts for the Merwin Dam on the Lewis River that are still in use today. Soon the shed on the front of the mill was added as a blacksmith shop. Elmer, another of Roslund’s sons, operated it. According to the website, Victor remained a bachelor and turned the upper floor into an apartment. Once again musical entertainments were common occurrences in the building. Victor died in the late 1950s, and the State Fisheries Department bought the property, removed the old dam and built a fish ladder. After a while, the Mill was falling apart, and in danger of falling into the creek. Leased by the Fort Vancouver Historical Society in 1961, they had the mill listed on the United States register of historical place, replaced the rotting foundation and stabilized the building. 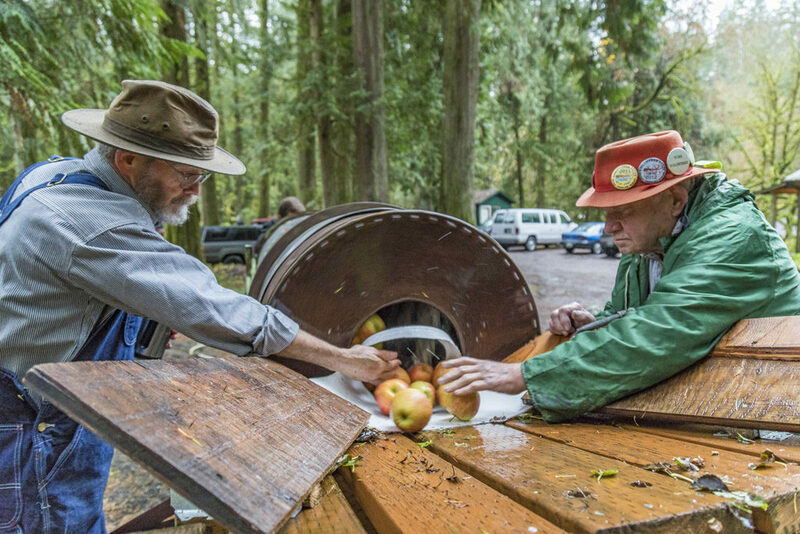 A group of local residents decided to save the historical structure and formed “The Friends of the Cedar Creek Grist Mill,” a nonprofit corporation. According to the website, dedicated volunteers used broad axes and adzes to replace the posts and beams authentically. To get water into the mill with the dam gone, the flume was extended 650 feet up the creek to a point where the water from the creek flows directly into the intake. A dam was no longer needed. The women held bazaars and raffles to help raise badly needed funds for the massive restoration process. They also kept the men at the “work parties” fed. The group met its major goal on Nov. 11, 1989, when it ground wheat in celebration of Washington state’s centennial. Volunteers work the mill, answer questions about the old style milling process and welcome visitors from around the globe. If you are interested in becoming a member, visit the Become a Member section of the website. 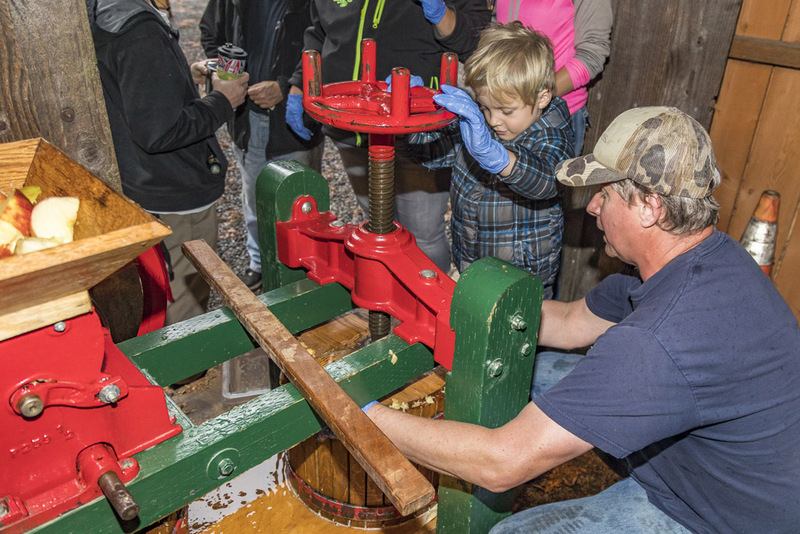 For additional information on the Grist Mill and upcoming events, visit the website. The Cedar Creek Grist Mill is located at 43907 NE Grist Mill Road, Woodland. 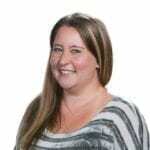 Contact volunteers at the Mill at (360) 225-5832.